It’s hard to argue against the fact that there are many benefits of learning music, regardless of age. Playing instruments is a wonderful skill that can lead to much happiness, and a sense of accomplishment as one learns how to master an instrument. 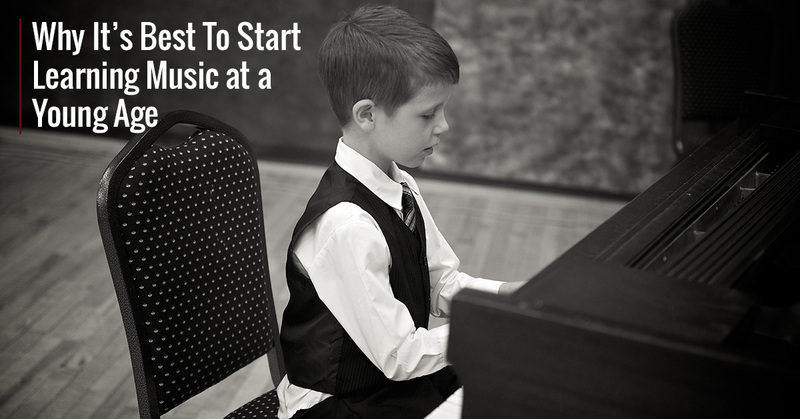 If you are an adult that doesn’t know how to play an instrument, it’s never too late to start! However, there are a few reasons why learning music at a young age is better than learning later in life. At Soaring Dance Theatre, we offer quality piano lessons to the people of the Monroe area. In this blog post, we’ll cover a few reasons why you might want to consider bringing your young child in for instruction today! There are a lot of reasons why young piano lessons are great from a rational standpoint, but there are also physiological reasons! In young ages, children’s brains go through various stages of development, and during some of these windows, it’s a better time than ever for them to learn certain skills — that’s one reason why children learn language much easier than adults do. Playing instruments quite literally shapes the brain in specific ways that enhance things such as memory development, motor skills, and hand-eye coordination. A child with years of musical experience can have a leg up on peers their age in these departments, well into adulthood and for the rest of their lives. One of the myths that modern society is trying to get rid of is that raw talent is more important than a good work ethic. In reality, most successful people have reached that point because they have honed their self-discipline. Music teaches these skills, particularly at young ages where the children have little else to discipline themselves with. Kids might see lessons as a drag from time to time, but there’s a strong feeling of validation and contentment when they’re able to put their hard-learned skills on display. A child who takes piano lessons from a young age can exhibit talents that many adults struggle to reach after months or years. It feels good to excel at a talent. We’re coming into an age where now, more than ever, people are able to harvest their talents into success. It’s possible that your child might not want to pursue a future in music, and that’s okay. But if they learn it from a young age, it’s an option for them, and that’s important. We love it when people of any age learn music and performing, whether they’re 5 years old or 50, but we can’t deny how beneficial it is for young kiddos in particular to learn early on. If you’ve been thinking about introducing different hobbies and interests to your child, consider enrolling them in our quality piano lessons at Soaring Dance Theatre in Monroe! Contact us today for a free quote.